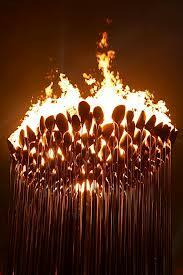 This past Friday night, I was mesmerized by the spectacle of the Opening Ceremony for the 30th Olympic games. The entire event was awesome and incomparable, as it was a showcase for the history of the British people and their culture. The history of the modern Olympic games themselves is speckled with British involvement. The original Olympics had been banned in 393 by the Roman Emperor Theodosius, but Europeans of those dark and middle ages still loved their games. In Scotland, there were various tournaments, which later evolved into the Highland Games, while in England there was a brief period in which the Cotswold Olympick Games took place and the romantic appeal of replicating the ancient games gave rise to many small towns celebrating sporting festivals that included such fare as pig chasing and an "old woman’s race for a pound of tea." In the last decade of the 19th century, while strides were being made to get the 1896 games going in Greece and as Baron de Coubertin began lobbying for a true Olympics revival, the ideal was for the participants to be rewarded only with medals and laurel wreaths. The idea of amateurism came into play. The original British definition of an amateur was someone who did not labor with his hands. In fact, it was only the upper classes who had the time for fun and games. Besides, could the "lower orders" be trusted to behave in a sportsmanlike manner? 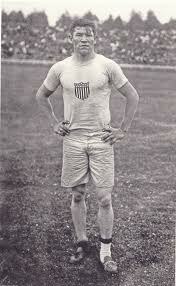 Thus, in 1896, it was primarily Harvardians, Elis and MITers who made up the American team. Britain chose to shun the games, but several members of the British Embassy in Greece chose to compete under the Union Jack. Closer to home, the British working man was very interested in sporting events, especially boxing and six-day marathons known in some circles as a wobble. Many considered these races infernally barbarous, while others––like the promoter of the event––held the opinion that events such as these showcased endurance, persistence and the will to conquer that were the premier qualities of the time. One of these marathons is the center of activity in Wobble to Death by Peter Lovesey. This event was taking place in the great Agricultural Hall in the late 1800s London. 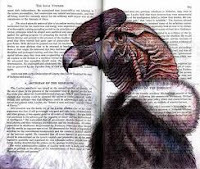 "For the benefit of those of you unable to read I shall repeat the rules. You may go as you please for six days and nights finishing next Saturday evening at half past ten o'clock..... Five hundred pounds and the belt to the winner, the Champion Pedestrian of the World. Good Luck to you all. Then go!... You poor bastards." In this situation, as in others in the world, there were two classes of competitors. On the inner one-eighth mile of the track moved the stars, while the lesser participants moved in an outer circle one seventh of a mile longer. In other words, the celebs were given a leg up. But just a day into the running, one of the favored stars of the race, Charles Darrell, is dead. The cause of death is at first thought to be tetanus. The victim had suffered severe cramping and he had run barefoot for several laps because he had developed blisters on his feet. The Agricultural Hall had, of course, the detritus of many livestock shows still lingering and so the theory was plausible. Eventually it was determined that the actually cause of death was strychnine, which was in those days used as a stimulant at a low doses. Doping is nothing new. Somehow, Darrell had been fed a massive dose. Naturally, his trainer, Sam Monk, was eyed with suspicion––especially after he is soon found dead as well, a possible suicide. Sergeant Cribb and his sidekick, Constable Thackeray, investigate the murder, going through the suspects from the athletes to the promoters, as the week wears on and the press accounts follow a well-accepted pattern. 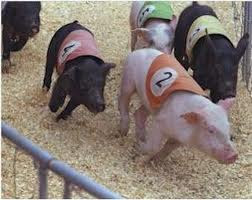 Initially the race is labeled as the "Islington Mix," then the "Herriott's Wobble" and, by the end of the week, the "Cruelty Show at the Agricultural Hall." You can almost smell the desperation and the leftover aroma of animals and fog. In the end, the simple motives for murder are usually the best: love, hate or money. You can pick and choose in this mystery. Lovesey's The Detective Wore Silk Drawers also takes place in the Victorian sporting arena, this time revolving around boxing. It was Great Britain that came to the rescue of the Olympic Games, when in 1908 Mt. Vesuvius's temper forced the 1908 competition out of Rome. Again, in 1946, London was prevailed upon to host the Olympics despite the fact that the city had less than two years to prepare and the place was a shambles after the depredations of World War II. The British athletes still had barely enough to eat and all they received for a uniform was instructions, fabric and two pairs of "Y-front" underpants, which were considered a luxury. Maybe this was where the infamous "I see London, I see France" verse originated. 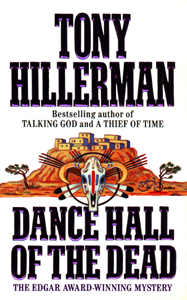 Other cultures have venerated footraces, and I am reminded of Dance Hall of the Dead written by Tony Hillerman. 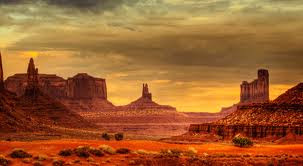 In this book, Lt. Joe Leaphorn of the Navajo police becomes involved in the case of the disappearance and death of a young boy. Ernesto, a young Zuñi, has been chosen to impersonate the Fire God in the incoming Zuñi sacred celebrations. 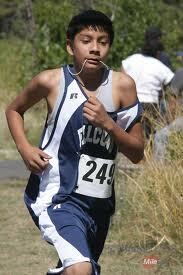 He has been training so that he can run, dance and participate with great strength. Proud of the fact that he has been so honored, he couldn’t help tell his friend George about it, which was an improper thing to do, but he needed George's help in his workouts. When Ernesto's body is found cruelly murdered, George takes off, trying to right the karma. But, as is often the case, one death follows another and Leaphorn knows he has to find George before anyone else does. Leaphorn believes that there is a reason for everything, that there is a synchronicity to nature. Every cause has its effect and every action its reaction. In all things there is a pattern, but in this situation Joe Leaphorn struggles to find it. Native Americans have made their mark in the Olympic running events. A Hopi, Lewis Tewanima, won silver in the 10,000 meter, and the only American to ever take gold in this race is Billy Mills of the Oglala Lakota nation. 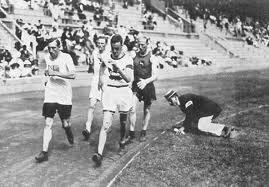 A Penobscot, Andrew Sookalexis, was 12th in the 1912 marathon. If you ever want to see a stirring movie, check out Running Brave: The Billy Mills Story. It has been 100 years since Jim Thorpe, a Sac and Fox Indian from Oklahoma, wowed the world with his epic performance in 1912 of 15 feats that won him Gold in the pentathlon and the decathlon and the title of the greatest athlete in the world. Even though he was stripped of his medals because he had earned some money playing in a summer baseball league, this same offense was overlooked when white athletes did the same thing. Later, in 1982, his medals were restored but not his records, which were not exceeded for decades. Well, if you can see a few sports amidst all the interviews, commercials and general talkitis of the Olympic coverage, enjoy the next two weeks. If you miss anything you can make it up by reading books about similar events. 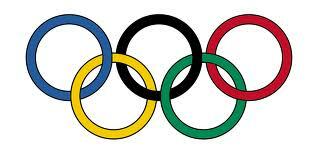 Janet Rudolph's blog Mystery Fanfare has an excellent list of murder at the Olympics books. September should be a reat time of year for a visit to Great Britain. I hope to visit the area someday, maybe, hopefully. I'm waiting for the day when cheese-rolling becomes an Olympic sport. Well there have been some unusual sports at the Olympics at times. For instance at the turn of the last century (1900) Tug of War was one of them. An unusual sport in my neck of the woods began as a local curiosity. It takes place in the fall and is called Pumpkin Chunkin http://www.punkinchunkin.com. It is now a world championship and people come from all over bringing their home made machines which throws pumpkins a great distance for charity. Go figure!